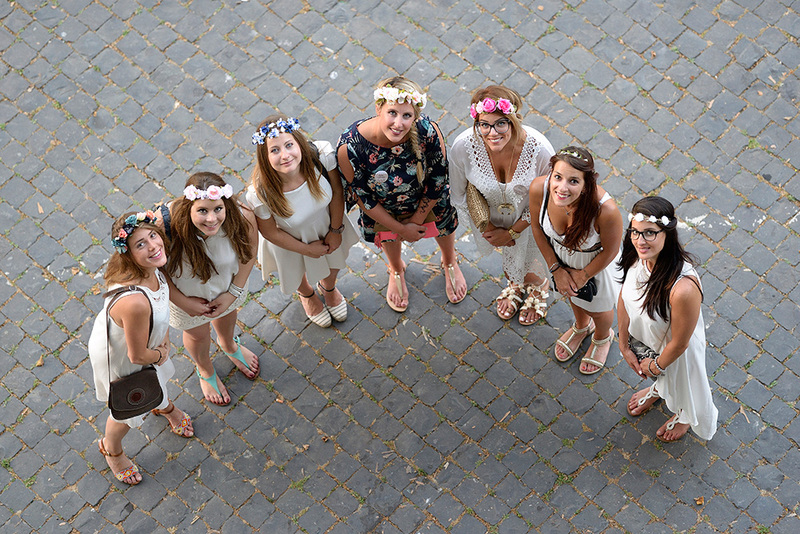 The perfect gift, a bachelorette photo shoot in Rome! 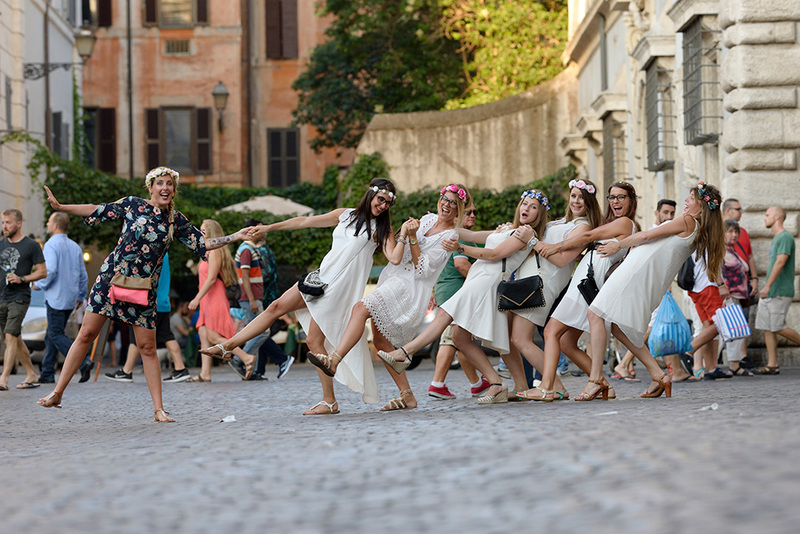 Bridesmaid, Charlotte, recently got in touch with the team at Pix Around to plan the perfect ‘Bachelorette photo shoot’ whilst in Rome. The bridal party would be staying in Trastevere, a neighbourhood within Rome, on the west bank of the Tiber, south of Vatican City. The best part of this shoot was that it would be a surprise for the bride to be! After reviewing his body of work on the website, Charlotte chose Pix Around photographer, Giorgio for the session and organised the meet up for the day. Not only did his work impress her, she felt his personality would be a good match for the group. Interested in this area of Rome? The Lonely Planet wrote this great summary blog post if you are looking for more information, although we always encourage independent research before travelling. Are you a maid of honour or a bridesmaid in an upcoming wedding? Get together with the rest of the bridal shower to come up with an amazing gift such as this! This is a part of a weekend away no one will forget. There are various packages to choose from depending on what you would like to give and time spent with our photographer. You can see some past bachelorette shoots, here. First, find your destination on our ‘locations’ page on our website and browse the photographers for the area. Spend some time on this part to get a feel for our photographers and their individual style and approach. Why not start a Pinterest account/ new board prior to your shoot? We find that creating a board is always helpful! This prep step is great to clarify your preferences and what you want from your shoot. Get pinning and who knows, you might ‘accidentally’ plan another holiday while you’re at it!